Australian social entrepreneur and author Jane Milburn brings a health and wellbeing context to how we choose, wear and care for clothes. 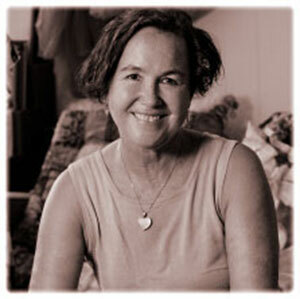 Jane’s Slow Clothing book and philosophy builds on her earlier career in agricultural science, journalism and communications before establishing Textile Beat in Brisbane in 2013 as a leadership response to textile waste. In an era dominated by passive consumption of cheap and synthetic fashion, Jane presents a compelling case for why we need to change the way we dress to live lightly on Earth through everyday practice. We are blessed at The Sound Temple to have Jane over from the East to roll out a collection of her talks and interactive workshops here in the Perth Hills as part of our Common Threads Project. Common Threads – Woven through Community is a month long community engagement project proudly brought to you directly following the World Fashion Revolution week in late April 2018.